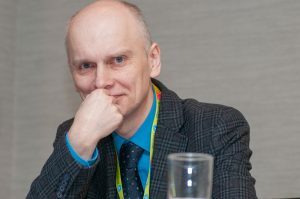 Up next in our Member Spotlight series, we are highlighting the work of Nazar Kozak, senior research scholar in the Department of Art History in the Ethnology Institute at the National Academy of Sciences of Ukraine, and an alumnus of the CAA-Getty International Program. Joelle Te Paske, CAA’s media and content manager, corresponded recently with Professor Kozak to learn more about his experiences at the Annual Conference, his current research, and his tips for scholars looking to extend their work internationally. Joelle Te Paske: Hi Professor. Thanks for taking the time for our interview. So to begin, where are you from originally? What is the focus of your research? Nazar Kozak: I am from Lviv, Ukraine, and I work in two fields simultaneously: medieval and contemporary art. The first one emerged from my interest in the cultural heritage of the region in which I live. My ongoing research in this field is focused on the sixteenth-century iconographic migrations of the Akathistos cycle across the post-Byzantine world from Venetian Cyprus in the South to the Tsardom of Muscovy in the North. Through this, I aim to discover artistic connections within this politically segmented realm that are not readily visible through archival data and thus to problematize nationalist narratives that have dominated Eastern European scholarship in the past. My second specialization emerged in recent years when issues of social justice and war came into the forefront in my country. I was driven to document and re-think artistic responses to the turmoil of events and through this to make my art history relevant to the times I am living through socially and politically. Currently, I am working on an article that explores how border art resists a global biopolitical divide. JTP: What is your favorite thing about being a CAA member? Do you have a favorite memory? NK: My favorite part of being a member is attending the Annual Conference. I remember the reaction of the audience to my talk at the Global Conversation session in 2017 when I shared my personal crisis in finding a motivation to continue writing art historical research when war broke out in my country and how I eventually found that motivation. The room was crowded and I remember the anxiety that I had before the session and the confidence I felt when I spoke and also during several moving conversations I had with attendees afterwards. That talk was published on the CAA website. NK: Currently and always the most exciting moment is when I realize that my work on a scholarly project is done; that is, when I can confirm my intellectual hypothesis and substantiate it with evidence that I genuinely believe to be true for now. This feeling, of course, does not last forever. JTP: What would you say are some of the challenges? NK: The major challenge is to find a sustainable answer for the Why question: Why am I writing a particular paper or monograph? And not just a random answer to tell others, but an answer I can tell myself and stick with, at least until I finish writing. The access to material and writing itself is a challenge, of course, but I think when you know your stake in it you can handle all the rest. JTP: What is a favorite study you’ve worked on over the years? Any recommendations for our readers? 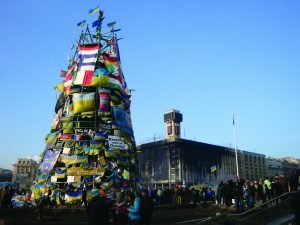 NK: Right now it is my article on art interventions during the Ukrainian Maidan revolution published in Art Journal in 2017. I would recommend Decolonizing Nature: Contemporary Art and the Politics of Ecology by T.J. Demos, because it is a great piece of engaging scholarship and because art and ecology is a crucial issue that is relevant to us all. 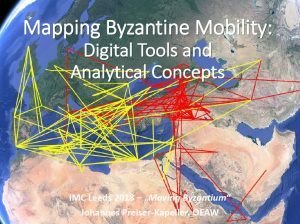 For those who are interested in online resources on Byzantine art I would recommend The Digital Research Archive for Byzantium (DIFAB) and North of Byzantium. JTP: What is your experience with Humanities Commons and the CAA-Getty program? NK: I have used Humanities Commons several times as a platform for online discussions which have worked well as a supplement for in-person exchanges. Among other online platforms that I use is Academia.edu though I see its commercialization as controversial. The CAA-Getty International Program is the major vehicle that facilitates scholars from countries where art history has fewer resources than in West Europe or North America to bring their voice and to build their professional networks on the global scale. I participated in that program three times: first as a scholar and twice as an alumnus. 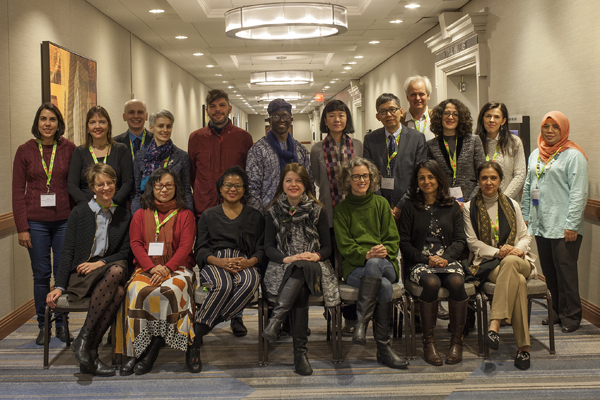 This year I was selected to collaborate with the program’s director Janet Landay and the current CAA International Committee chair Pearlie Rose Baluyut to design and moderate the preconference colloquium on international topics in art history and I was honored to have that opportunity not only for my benefit but to contribute to the program as well. I might add that because of my work with the CAA-Getty program I have recently joined CAA’s International Committee, where I look forward to continuing to work on recruiting and interacting with international scholars. 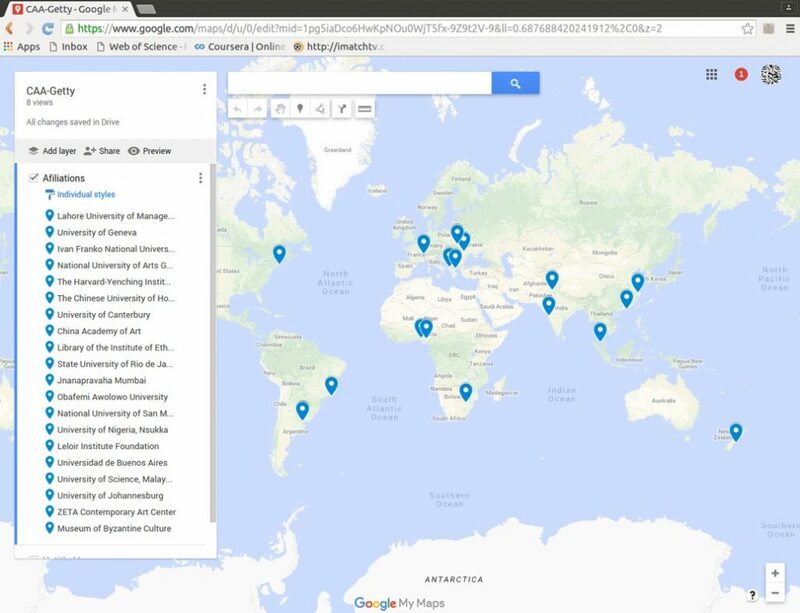 Map of home institutions of 2019 CAA-Getty International Program participants. Learn more. Nazar Kozak is a senior research scholar in the Department of Art History in the Ethnology Institute at the National Academy of Sciences of Ukraine. Previously he also taught at the Medieval and Byzantine Studies Department at the Ivan Franko National University of Lviv. After receiving his PhD from the Lviv Academy of Arts in 2000, he spent a year in Greece under the auspices of the State Scholarships Foundation (IKY). Kozak is a recipient of research and publication grants from the American Council of Learned Societies (ACLS) and an alumnus of the CAA-Getty International Program. In 2016-2017, he was a visiting Fulbright Scholar in The Ukrainian Museum in New York. 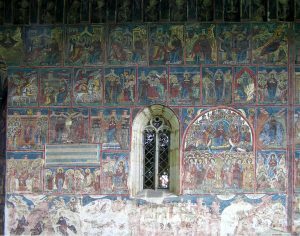 Kozak is the author of a monograph on image and authority in Kyivan Rus’ and articles dealing with Byzantine and post-Byzantine wall-paintings preserved in Ukraine. His ongoing research is focused on the sixteenth-century iconographic migrations of the Akathistos cycle across the post-Byzantine world. More recently, Kozak has also begun to work on topics in contemporary art. His article on the art interventions during the Ukrainian Maidan published in the Spring 2017 issue of the Art Journal received an honorable mention as a finalist for that year’s Art Journal Award. Nazar Kozak (third from top left) and fellow 2019 CAA-Getty International Program participants. Coming up in the spring of next year, we’re pleased to partner with Martin Randall Travel to offer a trip for scholars and artists to Japan. 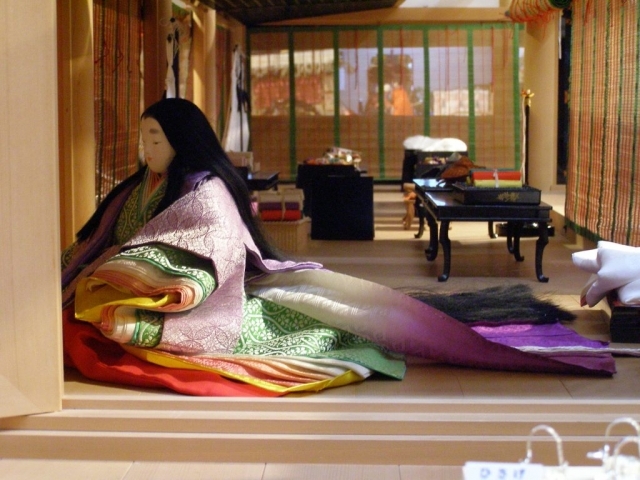 “Understanding Japan for CAA – Arts & Crafts, History, Religion & Traditions” will take place May 9-20, 2019, and will be led by independent Japan scholar and CAA lifetime member, Pauline Chakmakjian. As a lifetime member and a specialist who lectures on a variety of subjects related to the history, fine arts, and culture of Japan, we wanted to highlight the work Pauline is doing in our Member Spotlight series. Read our interview with her below. Joelle Te Paske: Hi Pauline. Thanks for taking the time to answer our questions. So to begin, where are you from originally? Pauline Chakmakjian: I was born in Los Angeles, California. PC: My primary passions are travel and the arts. 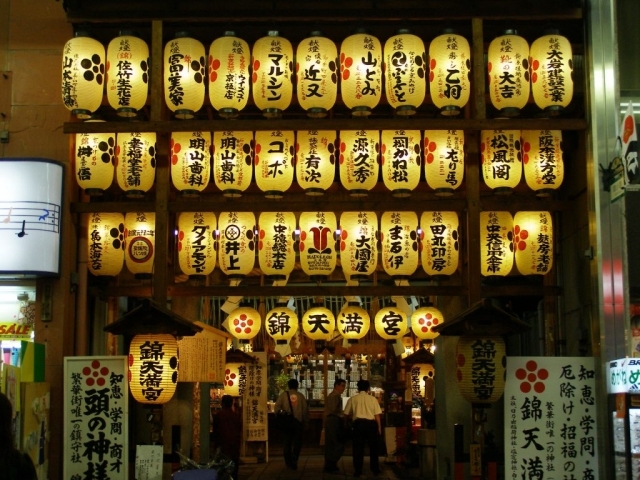 The associations and networks I have developed throughout the years have naturally led to projects that combine this fondness for both cultural variety and the diversity of thought and creativity in various countries, especially Japan. JTP: When did you first become a CAA member? PC: In the summer of 2015, in order to support art and art education. JTP: Why are you a life member? What has that meant to you? PC: I think in a long-term manner and carefully select organizations to support that reflect my own interests. With time, becoming a life member will increase in value for me personally, since CAA is focused on art and art makes life exceptionally rich and pleasant. My preference is to support things that encourage creativity and beauty—arts and culture are what makes us human. JTP: Have you attended CAA conferences? PC: I have not yet had the pleasure of attending a CAA conference due to my previous travel commitments, but certainly plan to in the future. JTP: The upcoming tour—“Understanding Japan for CAA – Arts & Crafts, History, Religion & Traditions”—is specifically designed for CAA members. What are you most excited for? PC: The Kyoto part of the trip, which is towards the end of the tour, of course! 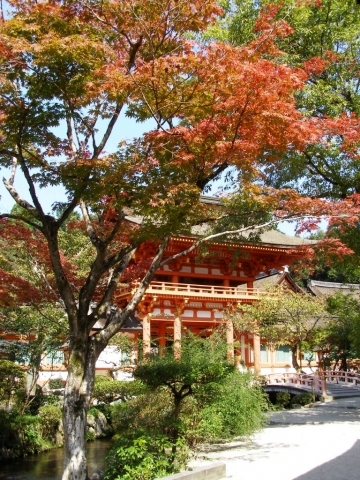 In so many ways, the old capital of Kyoto is the heart of Japan, from artistic and culinary traditions that are over one thousand years old, to the eternal backdrop of the tastes and pastimes of the nobility of the Heian-period court, which have cascaded down to influence generations of Japanese people ever since. JTP: What is the most surprising thing for people to know about Japanese art history? PC: There are many surprises for those who have never been to Japan or studied its artistic heritage, but if I had to choose one it would be that much of the traditional look or aesthetics of Japanese art are manifestations of the preferences of the upper tiers of the hierarchical class system the Heian court of one thousand years ago, borrowed from the ancient Imperial Chinese court in Chang’an (Xian). The upper two tiers consisted of the Emperor and his retinue of courtiers first, and then the warrior class. These two classes were largely responsible for the distinctive elements and emphases found in Japanese art, from landscape architecture to painting to teaware. JTP: Can you tell our members one unforgettable travel story? PC: Yes, sailing to Easter Island was probably the most adventurous thing I’ve attempted travel-wise. From Tauranga to Hanga Roa I was on board a two-masted brigantine with a permanent and voyage crew for 33 days of sailing across the Pacific. I had always wanted to visit Easter Island and this travel journey combined this dream with my love of classical sailing ships. We were also given instruction on celestial navigation over the course of the sailing experience. The image that stays in one’s mind and feeling of sailing through a gale force 8 storm at the helm is thrilling. 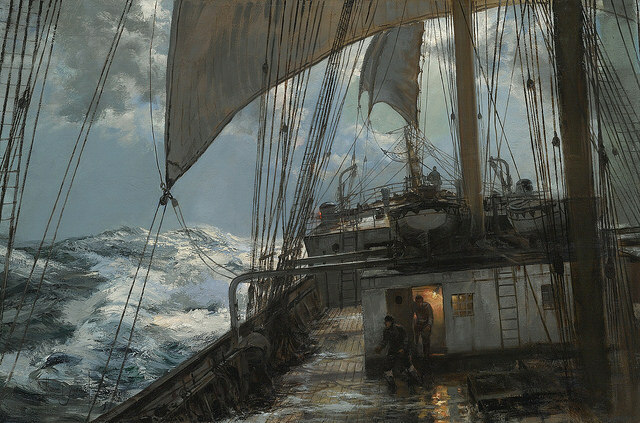 I love paintings by Montague Dawson and this was like one of his paintings in motion. JTP: What advice would you give someone looking to partner with travel agencies and lead the sort of tours you do? PC: A broad range of knowledge on the destination is essential. Though the focus is usually on the arts in terms of cultural travel companies, the tour leader will be asked about the other aspects of the country such as its politics, economy, technology, and other areas, so it’s not enough to simply know about fine art, music, and the performing arts. JTP: What is your top recommendation (such as a book, website, or resource) for people working in the arts right now? PC: There are so many resources both offline and online depending on one’s particular focus or interest in the arts, but I do quite like the international edition of The Art Newspaper. It’s particularly handy for people who travel a lot. JTP: Do you have a favorite artist or artwork? PC: This is difficult to answer as there are so many talented people who have created beauty of various types in this world, but the moment that made me want to lecture on art was during my undergraduate studies after I gave a talk for over an hour on The Garden of Earthly Delights by Hieronymous Bosch. This triptych is truly one of the most unique and extraordinary works of art ever made. The eccentricities within each section of the triptych as well as Bosch’s personal associations is what also partly made me curious about private, esoteric networks such as Freemasonry, which I also lecture on. Pauline Chakmakjian is an independent lecturer on a variety of subjects related to the history, fine arts and culture of Japan. She lectures for private member societies, corporate entertainment, private homes, universities, cruises, charities and other related organizations including lecture tours in Australia and New Zealand. 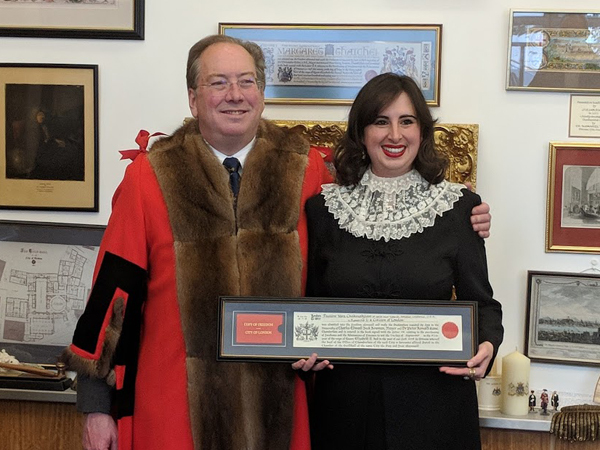 She holds a BA in English Literature during which she was also awarded a Merit Scholarship in Fine Art, a Diploma in Law, an MA in Modern French Studies and is a member of the Honourable Society of the Inner Temple. Pauline was elected onto the Board of the Japan Society of the United Kingdom from 2008–2014 and the Japan Society of Hawaii from 2015–2017. 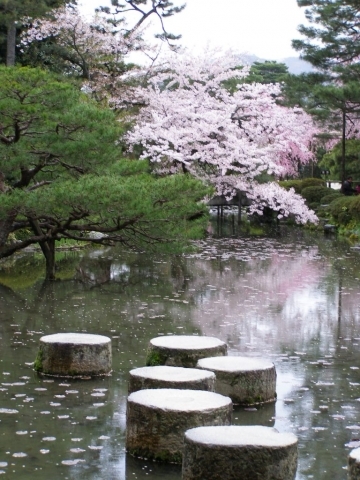 In 2014, Pauline was appointed a Visit Kyoto Ambassador by the Mayor of the City of Kyoto. Welcome to our revitalized Member News series! Each month we’ll be spotlighting a CAA member and learning about their work, inspirations, and thoughts on the field. 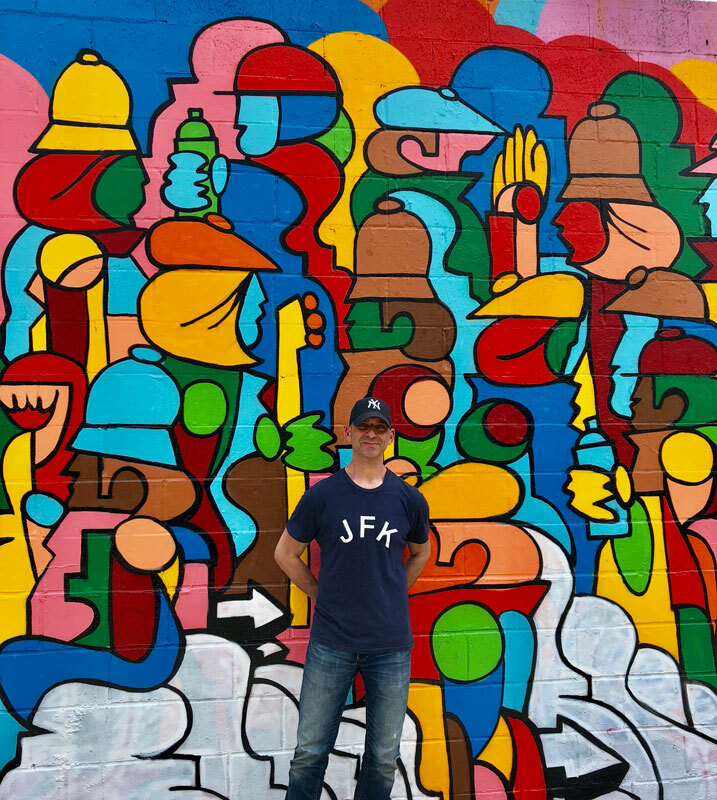 Ryan Seslow with his new mural at the Welling Court Mural Project in Astoria, NY, June 2018. All images and artwork courtesy Ryan Seslow. CAA member Ryan Seslow is an artist, graphic designer, web designer, illustrator, and a professor of art and design living and working in New York. As a visual artist he works with a synthesis of applied arts, new media, digital and internet art, and as a professor of art and design he’s been teaching various hybrid studio art, digital art, graphic design, digital storytelling, communication technology, and web design courses for graduate and undergraduate level programs between CUNY York College, CUNY BMCC, LIU Post, and Iona College since 2004. CAA media and content manager Joelle Te Paske corresponded recently with Ryan via email to learn more about what he’s thinking about and working on. Joelle Te Paske: Thanks so much for taking the time to chat with me. So first things first – where are you from? Ryan Seslow: I’m from New York, born and raised. My family migrated from Manhattan to Brooklyn and Queens, then to Long Island. My family owned a business and lived in Williamsburg for many years, then moved to Canarsie. I spent most of my childhood there and then worked for the family business for many years before college and grad school. JTP: You’re an artist, a designer, and a professor. What drew you to the work you do? RS: I have always been an artist. I knew it by the time I was 3 years of age because I loved to draw. I could do it for hours all by myself. By the time I was 5 years of age I was making friends in school by drawing cartoon portraits of them, it made everyone laugh. I’m also Deaf and hard of hearing, so having a visual language was the overcompensation for not hearing. I loved to learn but it was at first out of visual necessity. This became an unconventional practice and the discovery of the interconnections of all things creative. This is the short answer of course, but I have always believed in the creative human potential and how we have a responsibility to express and share it. RS: CAA was always mentioned and shared by colleagues. I started teaching in 2002 as a graduate assistant in my MFA program so CAA was the go-to resource for finding information on jobs and what teaching artists were doing in the field both after their MFA studies and professionally. I joined in 2002 as a graduate student and then became a member on and off over many years now. I’m guilty of letting memberships lapse in-between but CAA has always been there to welcome me back! I always wanted to know what other people like myself in the field were doing, how they were doing it, and why? I like to watch things from afar for a while, to understand them and experience them in my own way. This is my learning process. This always leads to ideas on how I can contribute to a larger whole. Sometimes its strangely immediate but it’s usually over time. RS: I haven’t, shame on me! Although I do follow the event, especially since so much of it is accessible online. Many of my teaching colleagues have attended and given presentations over the years in the various cities it takes place. I have always had the vicarious experience of hearing their stories and reading the reflection blog posts. Social media certainly helps this even more now. Perhaps 2019 is my year! Perhaps its time to create a presentation to share my last 14 1/2 years of teaching art and design at the college level from the perspective of a Deaf and Hard of Hearing professor. JTP: What do you appreciate about being a CAA member? Where would you like to see CAA improve? RS: I appreciate CAA’s website and the resources that are available there. I appreciate the art journals and other publications, plus the updates that CAA is currently making. I feel that I can reach out to you guys and know that I will get a response, support, and guidance. That’s huge, and I am very grateful for that. CAA can easily expand upon their presence by collaborating with members in various capacities. I would love to curate an online exhibition on CAA’s website of art history remix GIFs. Or a “pass the buck” internet art collaboration that allows members to contribute and participate and also incorporate their students into the project. Transparency and equality, let’s emphasize this more through community. Art education and the college art education platform is in tremendous flux right now. CAA is in a great position to be a bridge between the institutions, teaching artists and professors, students and the communities they serve, and beyond. JTP: What’s exciting to you right now in academia? RS: What excites me most in academia right now is the students, first and foremost and always the students. I love my students and I love re-emphasizing why I am a teaching artist at the college level. I’m there to help create a learning platform both inside and outside of the classroom—instilling skill sets that can be learned, displayed, and applied into the non-static world (meaning NOW, not just when they graduate). This includes public collaborative projects between my campuses and regular use of websites and the internet for dialogue, exhibition, and posterity. The internet and mobile applications make it easy to constantly be an example and share use-value-based content. I’m excited to see how teaching artists are stepping up to the challenges of a changing academic world. Less and less full-time positions are being created and less people are majoring in various art and design programs. How does this effect both full-time professors and adjuncts? What will this lead to? I’m noticing things—many more integrated and experimental special topics courses are being created to test for interest and collaboration. 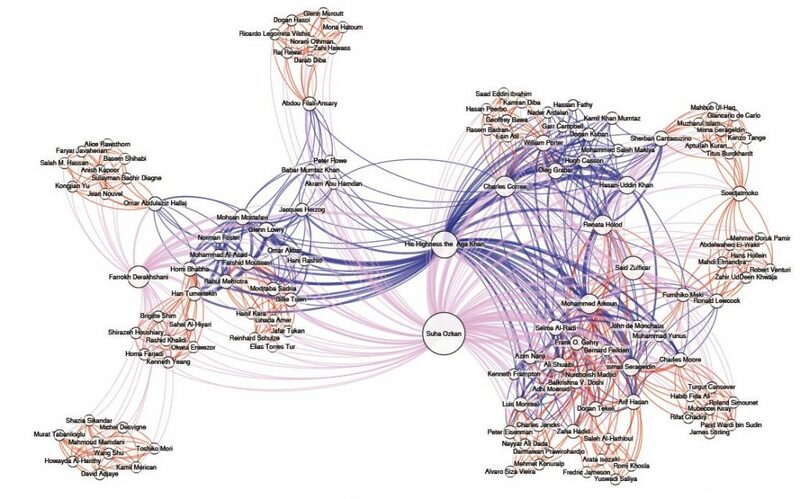 Companies are partnering with colleges and universities to see “how” they can work together. Good or bad, we shall see, but either way it is a continued time of learning and taking responsibility for solving problems. This forces us to make assessments about how to respond. It is our responsibility to be of service regardless of what gets cut. JTP: What’s not so exciting in academia? What is not so exciting, well—the chronic complaining about how things used to be in academia. People need to move on. Chronically complaining about the past and what once was is a waste of energy. The past is the past, nothing is ever static, everything changes—art, artists, art movements, art departments and higher learning institutions. We are always in a state of change and we need to remind each other of this. It is so much easier to operate from the past because it is familiar, but we don’t grow that way. Transparency and equality, let’s emphasize this more through community. We need to put more emphasis on the imagination and create potential to generate new solutions. We are always in a position to seek and create new solutions through collaboration and community building. This can also be created outside a single institution. Why not form new relationships and collaboratively solve problems with institutions in other countries, for instance? There is much to learn from contrast. Whether it be social, political, environmental, emotional, or psychological. We need to include and consider others in everything we do. JTP: I love that you mention the importance of empathy and compassion for the future of education on your website. Can you speak more about that? RS: I would be happy to! As I mentioned above, what excites me the most about teaching in higher education (and being a teaching artist in general) is the students. I love people. I’m interested in the psychology of learning and how that simulates itself through art, creativity, and design in a group practice. Before any new class begins I have the highest level of respect that each student is first and foremost a beautiful human being. Professors are not better or higher than their students. We were all undergraduate students at one point. When I was in undergraduate college, I struggled as a Deaf and Hard of Hearing person attending an all-hearing university. I was afraid to ask my professors to speak louder or more slowly or clearly. Sadly, many of them were standoffish and strict with outdated rules from the 1940s (I was in college in the early 1990s). There was a lack of approachability and human rapport that I later used as the contrast—that was who I would never be. Of course, this was not all of my professors, but there were quite a few. I set the entire tone and rapport of the 15-week semesters in the first class by meeting my students and learning about each other. The classes are not about me. Before I say one word about the course content and subject, the class meets each other as human beings, they share snippets of their lives, interests, and why they are taking the course. We talk about life, creativity, the imagination’s potential, and how to create a classroom dynamic where we are all collaborators of a whole. This has never once failed and continues to help me learn so much about myself, and the infinite number of ways that others see and experience the world. In order to be effective teachers we must become masters of communication. This means we must master the art of listening. 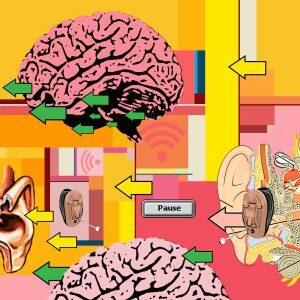 It’s not simply “hearing” what someone is saying, but learning how to be attuned and aware that listening goes far beyond the functions of the ears. It means being fully present with out the distractions of one’s ego making judgments and counteracting what is being said by the person speaking or communicating. As a Deaf and Hard of Hearing person working mainly in hearing persons environments it has been a very long road for me to learn how to communicate in various ways. The hearing world can learn a lot from the Deaf and Hard of Hearing community on this. I’m currently working on ways to share more about this with my colleagues, students and administrators. JTP: That’s terrific, thank you. Could you share some of the projects you’re working on now? 1. I have an online exhibition running right now. I created this specifically for my website to show the potential of creating works for the internet first – then see how they can transcend into otherness. (Otherness meaning a non-commissioned public space a gallery or a museum.) I’m doing this because the internet is incredibly accessible, versatile and has so much potential for sharing of art. All of the pieces have been created in 2018 and consist of digital illustrations, collage, animated GIFs, video art, and written words. 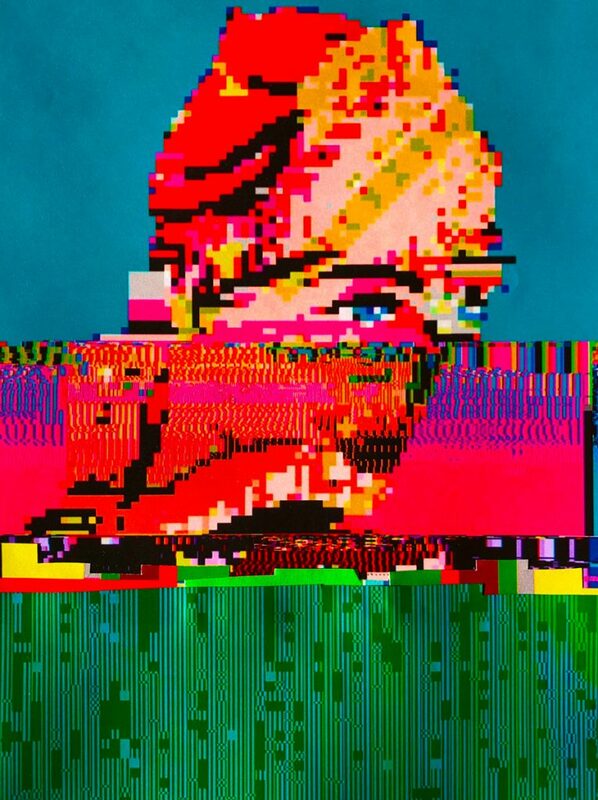 Fragments of manipulated grainy images and re-compositions display the variation and extension of each piece. The works are visual representations for the regular distortions, missing of sounds, words, and overall communication I experience daily. They represent how I feel, react, overcompensate, and adjust to communication in various interactions. They are intended to be both subtle, confusing and difficult to follow. Communicating My Deaf & Hard of Hearing Self – Part 1 is the first installation in the series. It is first published here on my website and shared via my social media platforms. I am seeking to extend this body of work into a lecture series for both the Deaf, Hard of Hearing and the Hearing world. 2. One of my favorite pedagogical models is a class blog. I see a lot of power and potential in it. I teach between two CUNY colleges here in New York and just submitted a wonderful cross-campus class collaboration to the New York Public Library’s zine collection. The students applied their new skill sets by interacting with each other using a class blog via the CUNY Academic Commons (where I’m a sub-committee member). You can view the entire project here. 3. I’m the curator and juror of the Art of the Hills exhibition currently on view at the Berkshire Museum in Pittsfield, MA. You can read my essay on the project here and via the Museum’s website. 4. I have a new mural at the Welling Court Mural Project in Astoria, NY. The image attached to this interview is of me and my completed mural from this past June, 2018. You can read more here. Before I say one word about the course content and subject, the class meets each other as human beings. JTP: What would you like to see more of in the field regarding resources for Deaf and Hard of Hearing professors? RS: I would very much like CAA’s help. We could create a network and resource for connecting with more Deaf and H of H teaching artists and professors. It would be great to initiate this via this interview and build off of it. Are you a teaching artist and/or professor who identifies as Deaf or Hard of Hearing? Let us know. JTP: Who is your favorite artist or designer? Favorite exhibition? RS: Ah, the hardest of all questions! I’m constantly redefining and integrating new and old favorites across all levels of influence and inspiration. I tend to like various things and discover so much retroactively through continuous research. My longest running artistic influence is by far the 1980s New York City subway graffiti movement and many of the artists that pioneered it. Artists like Doze Green, Dondi White, Futura, Lady Pink, John Fekner, and Lee Quinnones are just a few to name. I got into writing graffiti in 1984 and it always stayed with me. I share the history of graffiti in every course I teach. There is context and influence to be shared across all art and design disciplines. I also love the work of Takashi Murakami, Kara Walker, Cai Guo-Qiang, Yayoi Kusama and Matthew Barney (to name a few). Matthew Barney’s retrospective at the Guggenheim Museum in 2003 was, and still is, one of my favorite exhibitions of all time. I say this because not only did I love the variety of interconnected works in film, photography, sculpture, drawing, and installation, but the museum space itself was incredibly important and complementary to the entire exhibition. I saw the show 8 times in total. I’m a big Paul Rand fan in the design world, as well as Joshua Davis and Debbie Millman (and her podcast Design Matters). One of my favorite books is called Viral Art written by the multi-talented author, curator, and critic RJ Rushmore. You can download or read this book online. 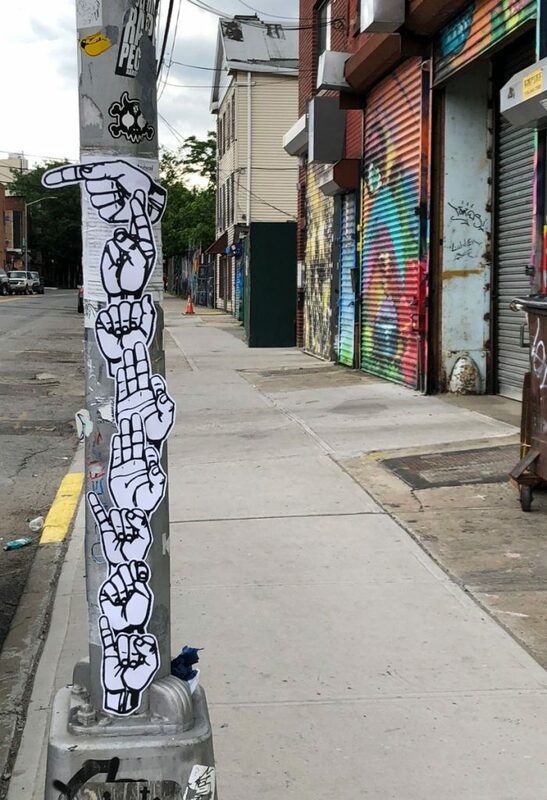 It’s a fantastic peek into the evolution of how graffiti and street art and their practitioners now use the internet and various web tools as a means of transcending the art form. JTP: Thanks, Ryan! It’s great to connect with you and learn about your work. Let’s keep building resources.